But are you ready to take your Facebook Page to the next level? Custom tabs are valuable to your social media marketing strategy because they let you create a much richer user experience on Facebook and control the content your visitors and followers see when they come to your page. So how do you create your very own custom Facebook Page tabs? Just follow these 6 simple steps, and you'll be up and running with a more customized Facebook Page experience in no time. Editor's Note: This post has been updated to reflect Facebook's custom tab setup documentation for 2015. That said, Facebook has made this setup process somewhat trickier over the years, requiring a bit more tech-savviness then the average marketer may have. If you hit any snags, it might be best to call in a seasoned developer to help you get set up. 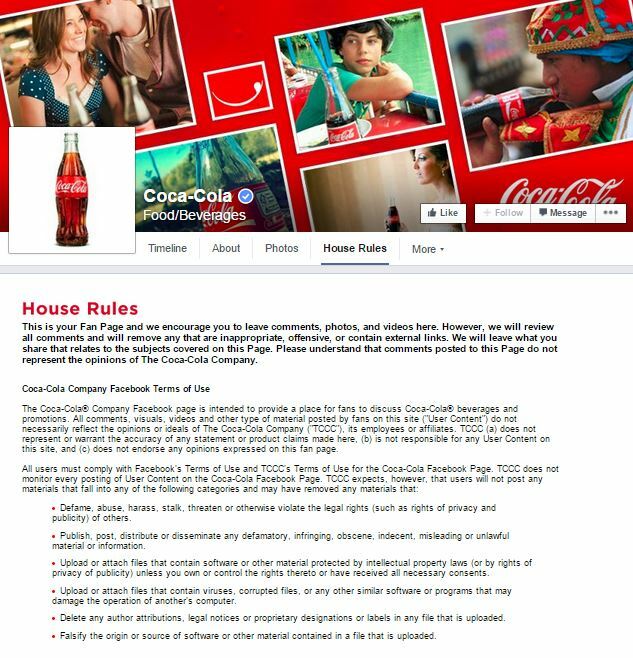 Coca-Cola is cleverly using custom tabs as a way to showcase guidelines for how Coca-Cola will govern its page, and how visitors and followers should behave when interacting with it. Smart, especially if you're a big company like Coca-Cola. This is just one way you can use custom tabs on your page. Promote subscription to your business blog. Promote registration for your upcoming event(s) or webinar(s). Create a content library of your ebooks and other downloadable offers to help you generate leads from Facebook. Feature successful customer testimonials or case studies. The possibilities are endless. Okay, now that you understand what a Facebook tab is and how it could potentially be used, let's start customizing! Think of your Facebook tab like an iFrame that loads inside Facebook. In other words, you can display pretty much whatever content you'd like inside your custom Facebook tab. You do this by creating a web page outside of Facebook. The contents of this page are what you'll tell Facebook to display within your custom tab. Important: Facebook requires you to provide a secure URL for your web page in order to set up your Facebook tab. A secure URL is a URL with "https://" instead of "http://" at the front. If the website you use to create your Facebook Page tab does not support https, Facebook will not allow you to set up a custom tab, and you'll need to get an SSL certificate first. To ensure that your page's content displays correctly on Facebook, make sure the width of your web page is either set to 100%, 520px, or 810px. Make sure all images, videos, etc. that you include on your page are also less than either 520px or 810px, depending on how wide you chose to make the content of your tab. You'll also want to get rid of any margin or padding around the body of your content so it's optimized for the space Facebook provides within the tab. Since Facebook's latest Business Page layout is wider than it used to be, I recommend making the content of your tab 810px. Facebook's previous Business Page layout was much narrower at 520px. Visit https://developers.facebook.com/apps. 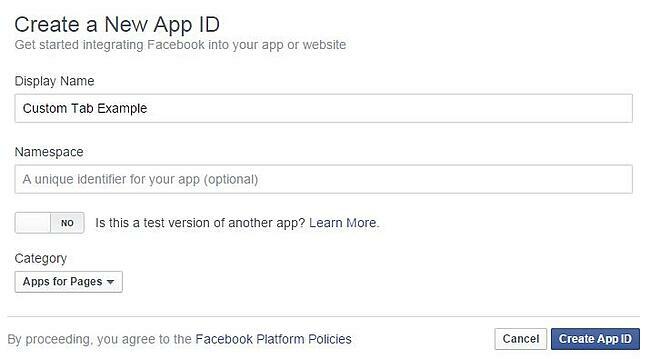 You'll be able to log in with your normal Facebook credentials. 3) Here, you'll need to provide a 'Display Name,' which is what your "app," or tab, will be displayed as on your Facebook Page. You can also create a 'namespace,' which is basically just a unique ID for your app -- although this is not required, and you're welcome to leave it blank. Select 'No' for the question about test versions -- this is more applicable if you're creating a Facebook app that you want others on Facebook to use, not if you're just creating a custom tab for your own page. Lastly, choose 'Apps for Pages' as the category, since you're creating this app as a custom tab for your Facebook Page. 1) Once in your App Dashboard, click 'Settings' in the left-hand navigation; then click the '+ Add Platform' button to start configuring your Facebook Page tab. 3) Next, add the 'Secure Page Tab URL' of the external web page you created in step 1. Remember, Facebook requires a secure URL (which starts with https://), otherwise it won't work. (See step 1 for more details.) Then specify whether you want a wide page tab (810px), which I recommend so your content fills the full width of the tab. This should also align with the width of the page you set up in step 1. You can leave 'Page Tab Edit URL' field blank. 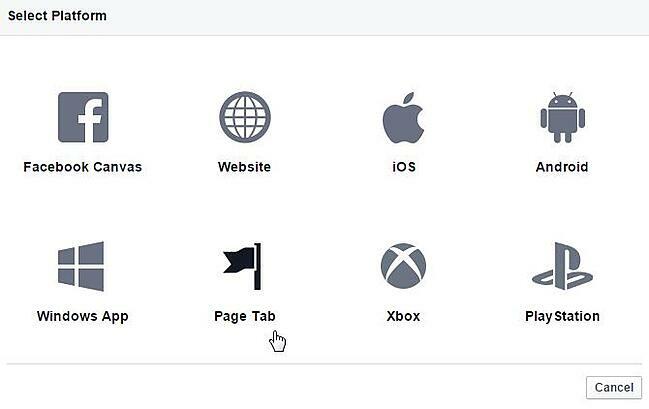 You can also upload a 'Page Tab Image' here (which must be 111 x 74 pixels), although to be honest, I'm not sure how Facebook uses this image since it no longer uses thumbnails in the Facebook tab navigation on your page. 3) Last but not least, select the Facebook Page you want to add your tab to. Then click 'Add Page Tab.' 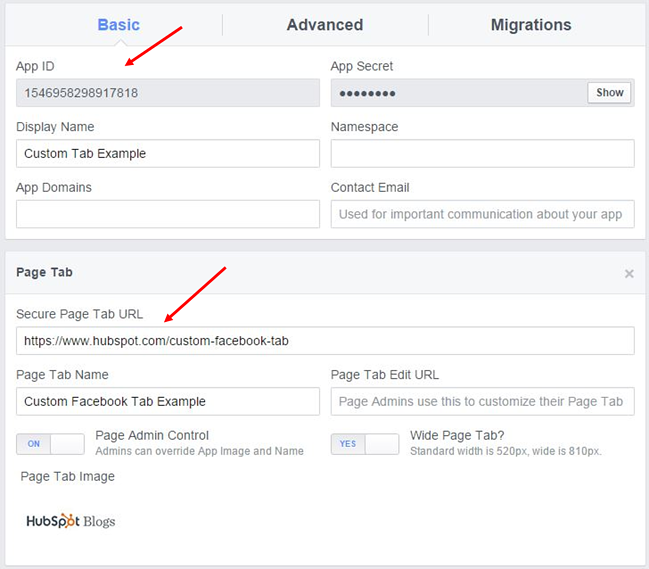 Keep in mind that you'll need to be an administrator of the Facebook Page in order to add the tab. Voila! Your custom Facebook tab should now be added to your page. Go check and see! Editor's Note: We've heard rumblings of people getting 405 and 403 "Forbidden" errors within their page tabs once they've been set up. When a Facebook user clicks on your custom tab, their browser sends a HTTP POST request to your tab's Secure Page Tab URL. They'll see this error message if the page you're using to host the content of your Facebook tab forbids HTTP POST requests. If you see these errors, your best course of action is to work with an experienced developer to help you set up your custom Facebook tab. 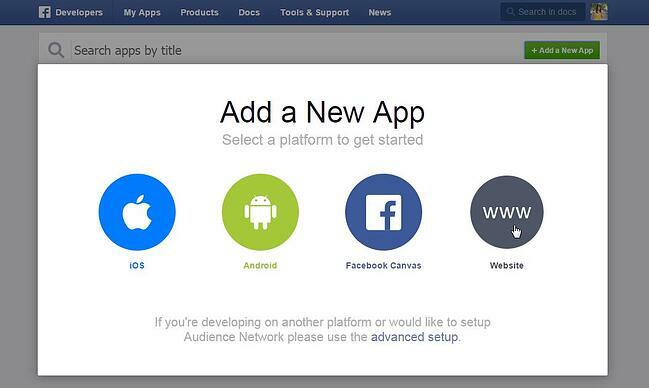 For Facebook's official documentation about creating custom Facebook Page tabs, click here. Editor's Note: This post was originally published in 2011 and has been updated to reflect Facebook's custom tab setup documentation for 2015.